A 24 year old Brazilian man named Bruno Borges disappeared on March 27th, leaving behind a room covered in elaborate art and containing a life-sized statue of Giordano Bruno and fourteen numbered notebooks. The name Bruno Borges is a little on the nose, as my friend Ted Hand puts it, since it's a combination of Giordano Bruno, whose statue appears in the room, and Jorge Luis Borges, author of numerous labyrinths and literary games. The whole thing feels like a Borges story, anyway. Bruno Borges story on reddit. Daily Mail article on Borges. El Globo's story on Borges. An update on the Bruno Borges disappearance, connecting it to Cicada #3301, can be found here. I have no idea what to make of it all. It's awfully neat handwriting for someone who's experiencing mental problems, which suggests that it's an art project or part of the Cicada scavenger hunt. Update: It may all have been part of a book marketing scheme. It seems that the season of the "Boy from Acre" case, Bruno Borges, mysteriously disappeared on March 27, is coming to an end. The Civil Police made two operations at the home of two friends of Bruno and found, among other things, two contracts signed giving friends part of the income from the sale of the 14 books he left in his room, along with scrawled walls and the statue of 2 meters. Bruno's cousin, Eduardo Borges, could also be involved in the case. One of Bruno's friends, Marcelo Ferreira, was arrested, reports the G1 , for omitting information about the case, which would constitute false testimony. In the house of another friend, Mario Gaiote, the bed and the rack of Bruno's room were found, set aside for the setting of the scene found after his disappearance. Both Marcelo and Mario had signed contracts at home to distribute the proceeds of the sale of the books, drawn up in a notary's office on the very day Bruno disappeared. "On the day Bruno left, he went to the notary's office and recorded the contract. So, for us, it is very conclusive that it was not a disappearance whatsoever, it was in fact a conscious plan of remoteness, and the contract shows that there is a deadline for disclosure of these books, deadline for publication, percentage allocation for those who helped him, in the case , These three people who helped him right away. For us, this is very clear, "said Alcino Júnior, the delegate of the case, to the G1 . Update 6/11/17: More from the police investigation here. Frederick Schilling loves chocolate. He is the founder of Dagoba Chocolate, AMMA Chocolate and Big Tree Farms. He's made a career out of launching products that are not only delicious and luxurious, but also environmentally and socially responsible. 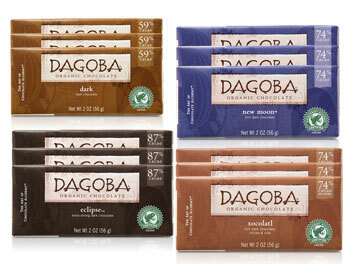 When he founded Dagoba, he launched the organic chocolate category. When he founded Big Tree Farms and AMMA Chocolate, he changed the lives of farmers on two continents. How he got interested in chocolate while a religion major at Ohio Wesleyan University. His first big breaks in product development, distribution, suppliers and media. Why cash and people are the scarce resources needed by any founder. Terroir of chocolate. Subtypes of cacao plants. Breeds of cacao trees: Criollo, Forestro, Trinitario. How cacao spread with colonization. How coconut sugar improves the lives of coconut farmers. Fair trade and organic designations as an essential business advantage. Profile of Frederick Law Olmstead, the only American landscape designer you've ever heard of. Mitch Landrieu's speech on race and history on the occasion of the removal of the Robert E Lee Statue from display in New Orleans. Culture is who you hire and fire. Profile of publisher and printer Gerhard Steidl. "Radicalism begins with the body" Junot Diaz interviews Samuel R Delany. Hypnogogia and lucid dreaming with the help of oneirogens. Caracas – Lilian Tintori, wife of political prisoner Leopoldo López, held vigil throughout the night outside the gates of Ramo Verde Military prison, demanding access to her husband to verify his safety. Last night, Leopoldo Castillo, a prominent Venezuelan journalist with over 2.17 million followers, had posted on his twitter account, @elcitizen, “Information. Leopoldo Lopez transferred from Ramo Verde to a Military Hospital with no vital signs. Government maintains hypothesis of poisoning.” Tintori and López’s mother, Antonieta López, immediately went to the hospital where Captain Rodriguez eventually informed her that López was not there. López has not been seen or heard from for nearly a month; his family and his lawyers have been refused access and he has been held in isolation. Ruling party representative Diosdado Cabello last night published a video of López, allegedly as proof of life. 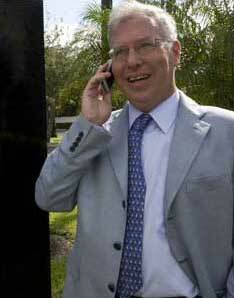 In the video, López states that “I do not understand the reason why they want a proof of life at this moment,” which alone raises serious questions about its authenticity as it should be unsurprising to a person that has been detained incommunicado for almost a month that there was pressure for a video providing proof of life. These reports are incredibly disconcerting as López has now been incommunicado for almost a month. López was last seen on April 7th by a family member. Since that day no family member or lawyer has been able to see or speak to him. López’s lawyers formally denounced this cruel and inhumane treatment before the UN Special Rapporteur on Torture last week, but the Government has refused to respect López’s human rights and grant access to his family and lawyers. We are currently calling for the international community to take urgent action and publicly demand the Venezuelan Government to allow López access to his family and lawyers. Earlier today, Secretary General of the OAS Luis Almagro tweeted the following, "I demand to visit @leopoldolopez based on the commitments that #Venezuela has with the Inter-American System of Human Rights @OAS_official." Sid Kemp is a coach, consultant and the author of ten books on business success published by McGraw-Hill and Entrepreneur Press. 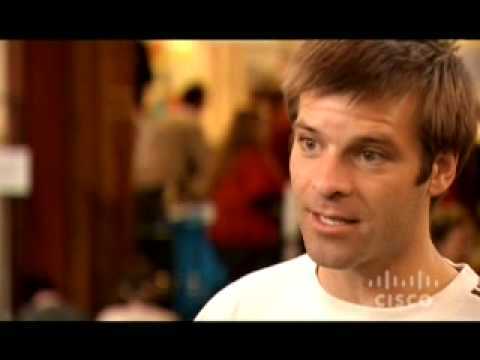 Until a decade ago, Sid worked with top Fortune 500 companies, government agencies like the US Nuclear Regulatory Commission, and think tanks such as McKinsey Consulting and Deloitte Touche. Then he took their best practices and wrote the best seller, Entpreneur Magazine’s Ultimate Guide to Project Management for Small Business. Today, we talk about the ins and outs of the consulting business, working with the inner and outer goals of the client, and planning for the equally challenging crises of wild success and disaster.